If you like food, then you need to be in Vegas April 23 – 26. 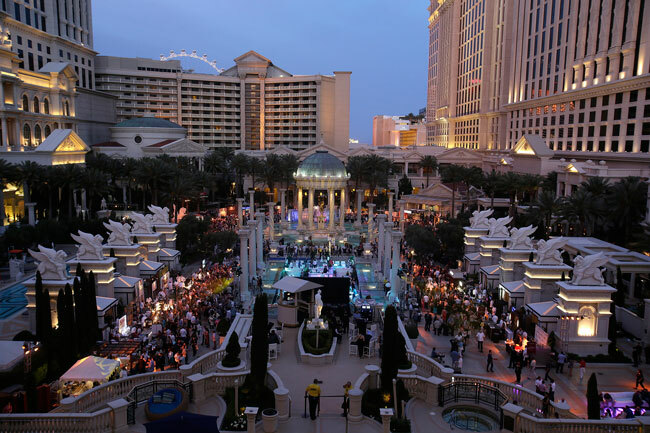 Vegas Uncork’d by Bon Appétit is returning to Aria, Bellagio, Caesars Palace and MGM Grand for its ninth year of wining and dining with celebrity chefs. “This is truly the only weekend each year when world class chefs gather in one destination to host intimate dinners where they push culinary innovation and mix and mingle with their fans and peers,” said Adam Rapoport, Bon Appétit editor in chief. 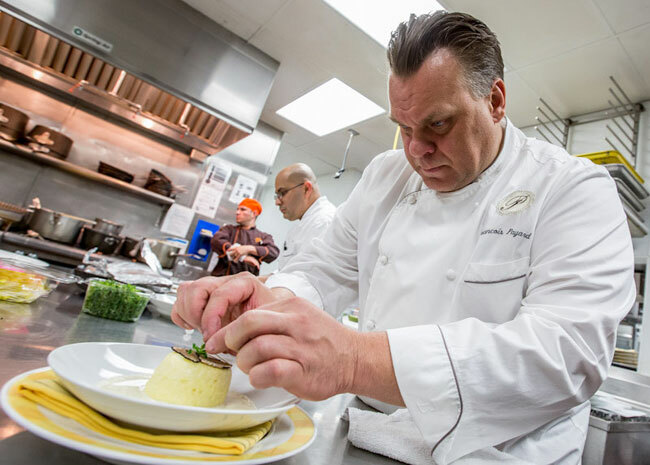 Chefs featured at this year’s events include Jean-Georges Vongerichten, Gordon Ramsay, Julian Serrano, François Payard, Masa Takayama, Michael Mina, Guy Savoy, Emeril Lagasse and more. Some of the events are already sold out but tickets still remain for plenty of amazing opportunities to eat gourmet food and chat up your favorite star chef. Chefs’ Counter: All-Star Feast (Aria), April 23: Buffets are a big thing in Vegas but you’ve never been to a buffet like this. Mingle with culinary superstars Jean-Georges Vongerichten, Julian Serrano, Michael Mina, Masa Takayama and Shawn McClain as they take over The Buffet at Aria and put their gourmet spin on this Vegas institution. Decadent Delights with Master Chocolatier François Payard (Caesars Palace), April 23: Chocolate. Wine. French food. What are you waiting for? Experience French fare at Master Chocolatier François Payard’s pâtisserie. Guests will indulge in a selection of sweet and savory canapés and one-of-a-kind chocolate creations paired with premiere wines. Tequila and Tacos with the Too Hot Tamales (Caesars Palace), April 23: Food Network chefs Mary Sue Milliken and Susan Feniger are throwing a fiesta at their new Border Grill inside The Forum Shops at Caesars with unlimited signature tacos, ceviches, seafood cocktails, oysters and more. Oh, and did we mention the free flowing margaritas? The Chefs of Wolfgang Puck: A Lunch Across the Empire (Caesars Palace), April 24: Wolfgang Puck is often credited for bringing some of the world’s top chefs to Las Vegas with the opening of his Spago restaurant inside the Forum Shops at Caesars more than 20 years ago. Chefs from several of his Vegas restaurants will come together to showcase the many flavors of Puck. Guests will enjoy five courses prepared by Chef Eric Klein (Spago), Chef Dustin Lewandowski (Wolfgang Puck Bar & Grill), Chef Mike Tiva and Jorge Martinez (Wolfgang Puck Pizzeria & Cucina / Trattoria del Lupo), Matt Hurley (CUT) and desserts by Corporate Executive Pastry Chef Kamel Guechida & Corporate Director of Pastry Nicole Erle. Grand Tasting (Caesars Palace), April 24: This is the big event at the Garden of the Gods pool that you don’t want to miss. Enjoy a staggering variety of signature dishes prepared by more than 50 award-winning chefs with free-flowing wines and spirits from around the world. Mix Master: Pour Like a Pro (Aria), April 25: Break out your best bartending skills during this fun-filled, interactive cocktail competition and seminar. Before the contest, watch master mixology expert Craig Schoettler at work. Then, compete against fellow participants to see who can mix up the best original cocktail. Premier Pairings with Krug Champagne & Guy Savoy (Caesars Palace), April 25: Who doesn’t love Champagne? Pair it with gourmet food from a Michelin-starred chef and you can’t lose. 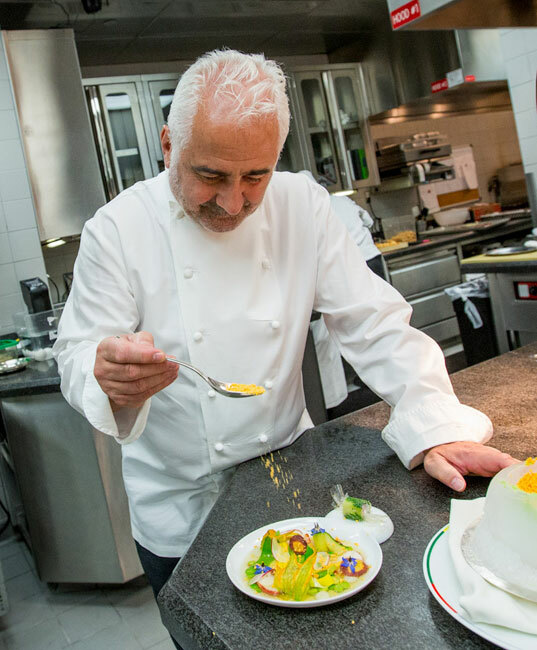 This event with Chef Guy Savoy and Krug Champagne features four courses from Savoy including many of his signature dishes, such as the artichoke and black truffle soup and colors of caviar, perfectly paired with Krug’s prestigious Grande Cuvée and Krug Rosé among others. Emeril’s New Orleans Seafood Extravaganza (MGM Grand), April 25: Party like you’re in the Big Easy at this event at the MGM Grand Producer’s Pool. Numerous stations will be set up offering freshly shucked raw and grilled oysters, whole grilled market fish cooked to order, New Orleans-style boiled seafood, chilled salads and seafood ceviche. A wide selection of craft beers will be on tap and live music will be performed to top it all off. To find tickets for all events and for more information, go to www.VegasUncorked.com.